While smartphones and tablets have yet to evolve where their battery type is concerned, mobile chipset making companies are expeditiously rolling out SoCs that display superior processing prowess coupled with energy efficiency. These chipsets will either be incorporated in devices later in the year, or be showcased during Q1 2016. Regardless, here are some brief descriptions of mobile chipsets that will take your smartphone’s capabilities to the next platform. Five upcoming chipsets that break barriers. The Snapdragon 820 will be running eight TS2 high-performance cores, and supplementing their performance will be the company’s new Adreno 530 GPU, LPDDR4 RAM, and an advanced MDM9X55 LTE-A Category 10 modem. In addition to the Snapdragon 820, Qualcomm will also be releasing lesser performing SoCs, which will make their way into smartphones and tablets during Q4, 2015. The Kirin lineup of chipsets are currently assimilated by Huawei’s mobile devices, with the current one being the Kirin 930 that is present in the company’s flagship tablet, the MediaPad X2. One notable difference separating the Kirin 930 and the Kirin 940 will be that the latter will possess a co-processor called the i7 (not to be confused with Intel’s Core i7 CPU). Similar to Apple’s A7 and A8 chipsets, which are running the M7 and M8 co-processors respectively, the i7 will be handling the less intensive tasks, giving the primary processor more breathing room in delivering effective results for smoothing out the overall user and app interface. For smartphone consumers who are unaware of the Cortex-A72’s capabilities, the processor is able to record 4K videos at 120 FPS, which is downright impressive to say the least. It is expected that the first handsets sporting the powerful chipset will be introduced to the technological populace during the end of summer. The Kirin 940’s better performing brother, the Kirin 950, is expected to be present in smartphones after the holiday season. Similar to the Kirin 940, the Kirin 950 will also feature the i7 co-processor along with an octa-core package, with the Cortex-A72’s clock speed given a slight boost to 2.4 GHz. Furthermore, the chip will also feature a better performing GPU; ARM’s Mali-T880 GPU. The only other difference separating the Kirin 940 and the Kirin 950 will be a Category 10 LTE modem. The Taiwanese semiconductor manufacturer’s upcoming chipset will most likely be showcased in 2016. While it has not been confirmed if the company will opt to use the 20 nm or the superior 16 nm FinFET process for its upcoming product, one thing is confirmed; MediaTek MT8173 will be featuring ARM’s quad-core Cortex-A53 as well as the company’s quad-core Cortex-A72. In comparison terms, the MT8173 will be able to deliver up to six times the performance that the MT8125 brings to the table. 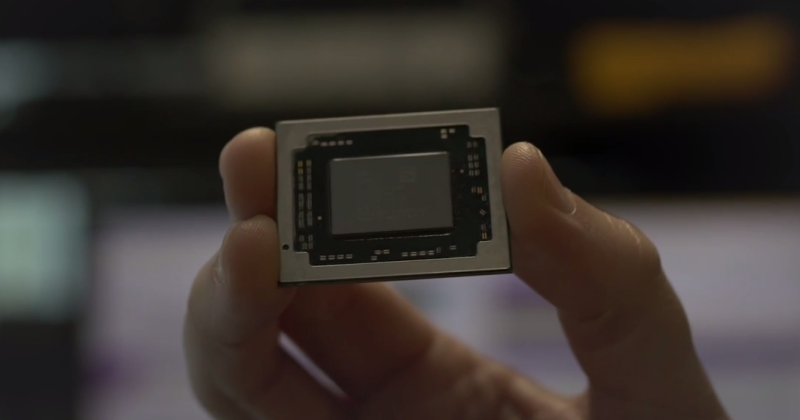 The chipset will also be able to deliver up to a 30 percent increase in memory performance and provide support for camera sensors possessing a maximum image resolution of 20 megapixels. While not much is known about the Apple’s A9 SoC other than the fact that it will be present in the company’s upcoming iPhones. However, what we do know is that the A8X present inside iPad Air 2 made quick work of NVIDIA’s Tegra K1 chipset with a dual-core Denver CPU; a configuration currently present inside the Nexus 9. While the following has not been confirmed, TSMC is reported to provide Apple with its future chips to be placed inside the iPhone 6s. In addition, the company is also expected to be mass producing the 16 nm A9X chip, and that it will most likely be present in the tech giant’s future flagship slate. More information concerning the chipset will become available as the next batch of iPhones near their official announcement date.